Skada was the dark one, able to exist only when the moonlight cast a shadow or lamplight flickered in a darkened room. This is the story of Jenna and Skada. 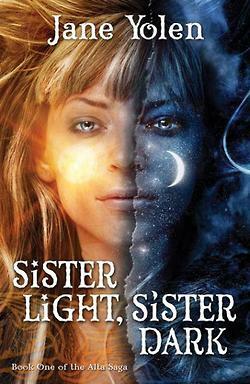 Sister Light and Sister Dark. 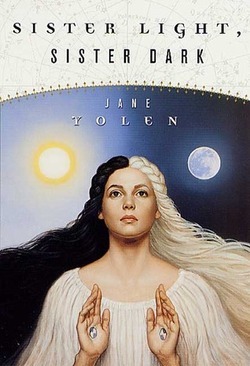 Jane Yolen is a great Writer, she once came into my college, for a specific class I was taking. I really liked reading Briar Rose but… because there has to be a but… I felt nothing for her characters in this story. I didn’t care what happened to them at all. The Main character Jenna is adopted by a band of female warriors who prey to The Great Alta, their goddess. Jenna or Jo-an-enna, (yep this is one of these books where everyone has two names and you have to keep track of that otherwise you will get very very confused about who’s talking to who. For a while there I thought Pynt, Jenna’s friend and Marga where two different people -____-) Jenna is supposed to be this prophesied child, who’s orphaned thrice, and is supposed to help save the world. Typically I give stories like these a chance because it’s always nice seeing female leads, I just couldn’t with this novel. Overall, it wasn’t a terrible story or badly written it just could draw me in and the way it was formatted left the book choppy and annoying to get through… I won’t be reading the next book. ; __ ; sorry Jane your other stuff is cool. Warnings: Violence, Some Language, from memory nothing sexual goes on it’s just hinted at… and uh yeah I think that’s it. Wow. This was so not what I was expecting, trust me that is a good thing. This is an amazing story! This is like Oliver Twist meets Faeries in Fantasy novel. The setting is Victorian London circa 1871. Tara Kathleen or Tiki as she prefers, is an orphan who picks pockets and lives with a bunch of other Orphans in Charing Cross. She picks pockets to stay alive and help out her adoptive family: Shamus, Fiona, Toots and Clara. 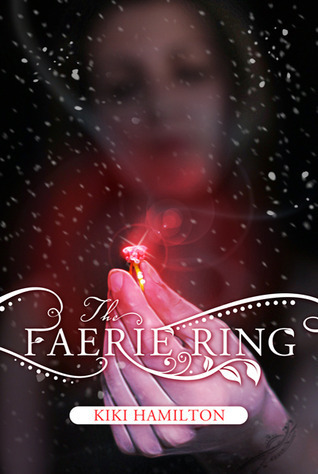 Things go awry when Tiki, who is a pick pocket, steals a very important ring which keeps the balance between the human world and the Faerie realm. Ok so that’s about it for the spoilers, as you know I try not to give away the whole book. Tiki was a very inspirational character. She’s not been dealt the best hand, her parents were killed from what seems to be Consumption aka TB. Later on you she confesses more about what happened after they died, it’s a lot darker than I expected. Tiki rises to every challenge, she’s a compassionate, without being weak. She’s easy to connect to. Why? Because nothing matters more to her than her family. At the end of the day she will and does anything for them. The people who she really loves the most. That really shines through as the ultimate message of this novel, especially at the end. I cannot wait to read the next in the sequel. Also, I love how the faeries take on glamours (as they do in folklore) when really they are vicious beasts. Publisher: TOR or Tor Teen publishing? My Review: When the Plot of this manga becomes clear, this has a lot of potential. Unfortunately, this does not happen until the end of the manga… Nothing really gripped me until the end. 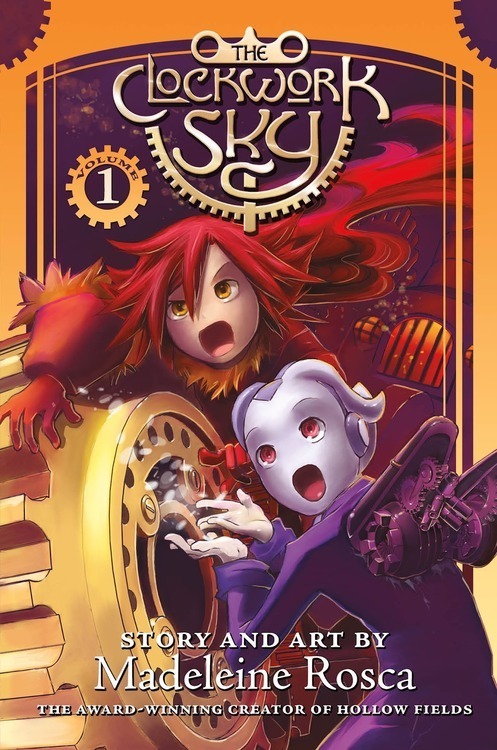 Sky, and Sally were both okay as characters but they felt a little stale… The cover art is … well it’s better than Vampire High, but the way their mouth are open looks ridiculous, I was worried about whether the art work on the inside would look just as silly. Luckily, I really enjoyed the art work, both the characters grew on me especially when they know what’s being used for “Spare Parts” by Ember, but until that moment I nearly lost interest. So um yay for a potentially awesome plot line? 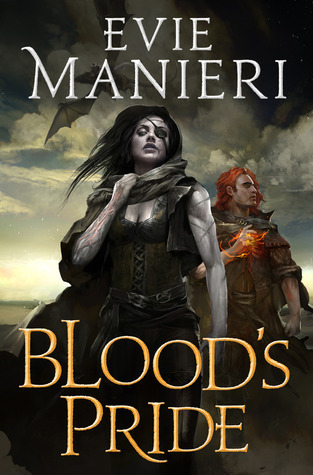 Description: (by goodreads.com) Rising from their sea-torn ships like vengeful, pale phantoms, the Norlanders laid waste to the Shadar under cover of darkness. They forced the once-peaceful fisher folk into slavery and forged an alliance with their former trading partners, the desert-dwelling Nomas tribe, cutting off any hope of salvation. My Review: This is a LONG book, not for the weak of heart ^___^”’ and it often feels like it, the almost 600 pages are at times very difficult to get through. There were a ton of characters with similar names so it was hard to keep track of who was who and which side they were on. The ton of characters were cool and it would have been okay if you know I didn’t have to look at the glossary every POV change. Blood’s Pride had a lot of excellent and complex ideas especially the conflicts between the two warring people and the spark of the rebellion, but unfortunately… it just had too many ideas and concepts to execute properly. Overall, I liked it. I would never call it HORRIBLE or BAD but at the same time it did have problems, The biggest being losing track of who is whoand the POVs sounding similar if not the same character to character. For some reason it reminded me of a more structured society of the Dothraki in ASOIaF vs Westeros. Description from goodreads: It’s been months since the ghost of Anna Korlov opened a door to Hell in her basement and disappeared into it, but ghost-hunter Cas Lowood can’t move on. Well Cas is back and he’s seeing Anna everywhere even though she’s in hell. I really liked the earlier chapters of the book, there was a lot of Anna and you desperately wanted to help her. The ghost slaying trio’s relationships towards each other were interesting to watch. It was rather heartwarming actually to see Cas so open. The chapters in England were interesting, you find out a lot about Cas’s blood-tie to the Athame and the history of the Athame itself. There are a couple of new characters and the one I hate most is Jestine. UGH I JUST WANTED HER TO DIE! I have to congratulate Kendare Blake for that, it demonstrates how vivid her characters are, but god I hated Jestine. I wasn’t expecting the ending we got at all and it left me a little well shaken. I dunno I didn’t hate the ending not at all but it was very melancholy. It took me two days to read this. First of all I want it known, I really loved this book. It was just— I wish I had better adjectives at my disposal it was that good. 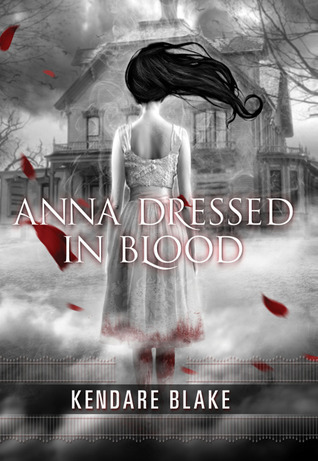 Anna Dressed In Blood was fast-paced, all the characters felt real none of them felt flat (even Mike the Meathead.) I really appreciated Cas sarcastic jaded attitude if he had been all high and mighty or played the flawless super hero he would have just felt fake. He screws up he makes mistakes but that doesn’t make me frustrated that makes me think of how well written he is. I really was blown away by how much I liked Cas. So I love Thomas. I do. I think he’s adorable in every possible way. 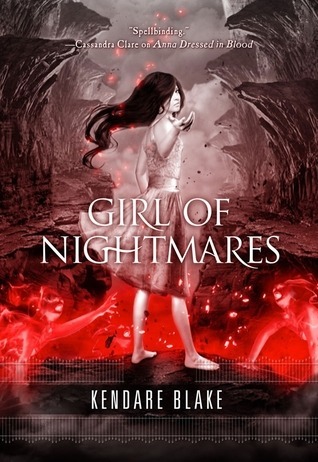 I wish I got more of Thomas’s background but I haven’t read the second book yet, Girl of Nightmares. (what can I say I like underdogs.) Carmel was interesting I was always surprised by her (in a good way) I wasn’t expecting her at all to be as brave as she was. The ending was totally unexpected, ok maybe not the part with Anna but the part with the … crap I don’t want to spoil it for you guys. Ok, needless to say the ending was a show stopper I held my breath for moments of it.